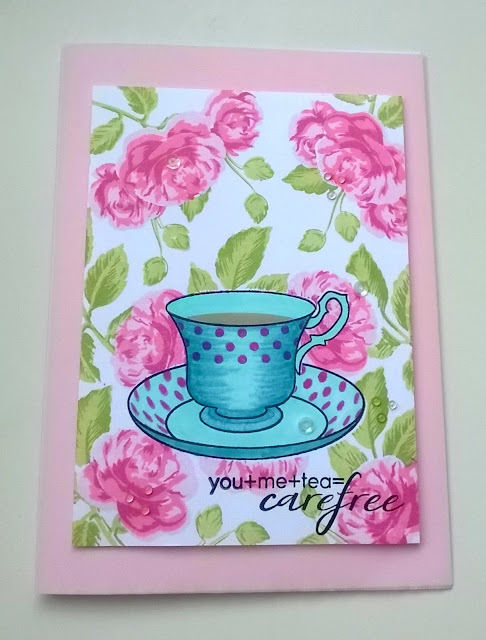 Today I am sharing a cute vintage teacup card I made with Altenew products. I used Vintage Roses for the flowers, Beautiful Day for the leaves Vintage Teacup for the main image, Green Fields and Rose Petal inks for the flowers and leaves. I also used the Artist Markers Set A to colour the cup and saucer. I embellished with iridescent sequins and clear dew drops. 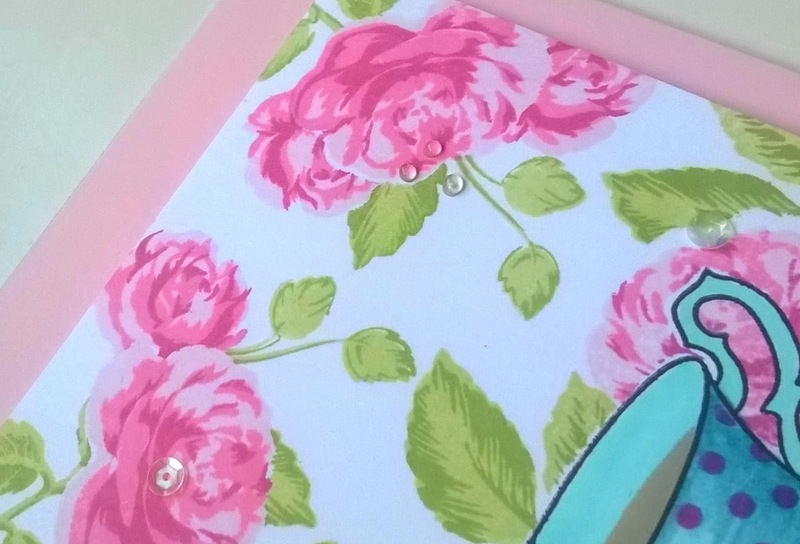 I placed the panel on to some pink vellum over a white card blank. I am in love with the colours of this card and can't wait for it to be given to someone and to see there face as they open it. 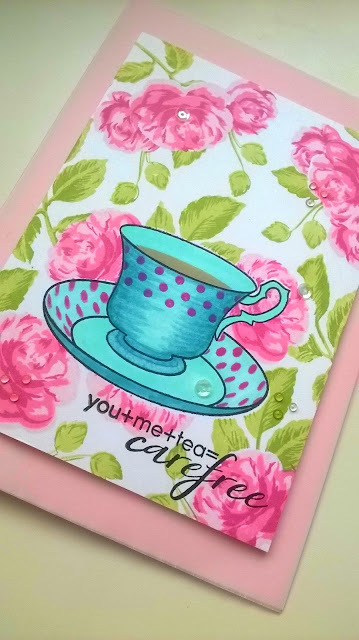 How to use masking techniques in your stamping.